INTENSIVE - the 3 day course is our most intense course. It is both the theory and practical application of sourdough nutrition and digestibility of bread. 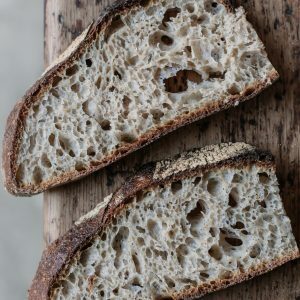 Although this course it is open to any level of health care practitioner OR baker who want to understand the impact of fermentation for a specific reason related to health and wellness, it is recommended that you have some prior knowledge of sourdough before attending. NUTRITION & DIGESTIBILITY OF BREAD These 3 day courses are based on the former RCGP ( Royal College of General Practitioners) accredited course in nutrition and digestibility of bread, but now include the practical aspects of learning to bake sourdough as well as all research references and studies. Course are individualised with participants attending having a gut microbiome analysis prior to attendance.